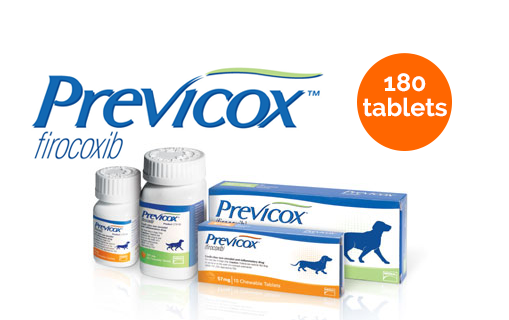 Previcox is a prescription arthritic medication that relieves pain and inflammation in dogs and helps restore flexibility and movement. This non-steroidal anti-inflammatory (NSAID) is non-ncarcotic and COX-2. Previcox, unlike many COX-1 blocking medications, allows the release of COX-1 to support kidney & stomach health and platelet production. Previcox should be given once daily according to your veterinarian's prescription. Dosage should be calculated by half-tablets and given with or without food.